Connecting your payments account to your QuickBooks Online company enables you to send invoices that get deposited directly to your bank. Select the Gear icon at the top, then Company Settings. Select Payments from the left menu. 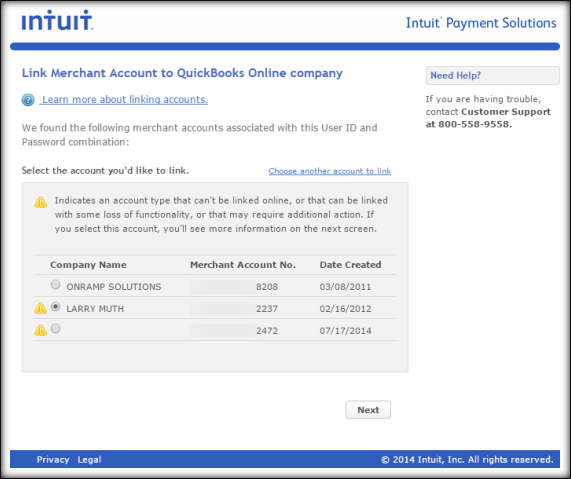 An additional window or tab opens to an Intuit Payment Solutions branded page. The connection service automatically looks for any QuickBooks Payments accounts that has the same login with the user who is currently logged in. This may take a few moments. Select the radio button next to the QuickBooks Payments account you wish to connect with your QuickBooks Online company. 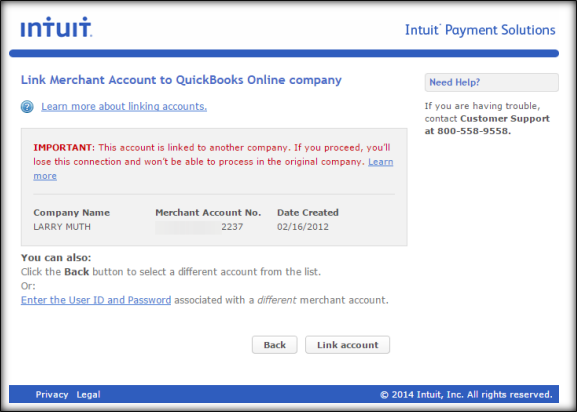 If no accounts are found, sign in using the QuickBooks Payments account login credentials. If you do not see the QuickBooks Payments account you want to connect, select Choose another account to link, then sign in using the QuickBooks Payments account login credentials. Review all important disclosures then confirm that the correct account was selected. If everything looks right, select Link account. The connection service links the accounts then informs you once it has been completed. Congratulations! You're all linked up. To experience all of the QuickBooks Payments features, sign out of QuickBooks Online then sign back in.